I love this time of year because of A.J. Bouye. I hate this time of year because of Mike Glennon. Allow me to explain. For many football fans, the draft is like opening Christmas presents. It’s a fun process and can help teams get better, though not necessarily right away. For many football fans, the opening of free agency is a huge event too. But too often it becomes a letdown. I fear this year is going to be one of those times. Glennon is my example of that. I like Mike Glennon. Good guy, really hard worker, might be a good player. Might. But some team, possibly the Bears, is on the verge of paying him like the 20th-best starting quarterback in football. And good for Glennon. He’s been a good soldier in Tampa, just not a very good player. But you can’t begrudge any player for getting real money, and that’s what Glennon is likely to have in his pocket—plus a starting NFL job—by Friday. A.J. 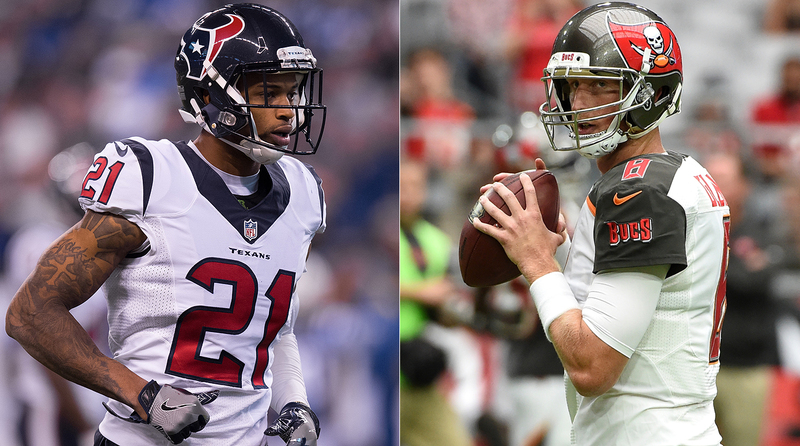 Bouye (left) and Mike Glennon figure to strike it rich with free agency set to open. Wasn’t it logical to think Osweiler was going to be the answer in Houston, with a good quarterback mentor in Bill O’Brien? He wasn’t, and the Texans’ cap is so wounded by the signing of Osweiler at $18 million per that it may prevent them from solving the quarterback problem on a team with an extremely good defense. I want to stress this: I do not know if Glennon will be a success or failure at his next team. But why does a team have to pay a player—who has proved nothing—as much as a four-time playoff quarterback? Bengals QB Andy Dalton averages $16 million a season. That’s about where Glennon is likely to end up. The Osweiler example showed in 2016 that paying a quarterback before he’s proved he deserves it is fool’s gold. I have high regard for Chicago GM Ryan Pace, and the street is filled with reports that it’s Pace who is yearning to sign Glennon. I think Pace is a good long-term builder. But it makes no sense to me to pay Mike Glennon in the neighborhood of players like Alex Smith and Andy Dalton. If you lose Glennon, so be it. Let him go. Keep Brian Hoyer at a third of the price and develop a rookie. Now for Bouye. He is 25. He was an undrafted college player from Central Florida when he signed with Houston in 2013, and last season was his first as a starter. (He started 11 games.) Pro Football Focus rated him the ninth-best cornerback in football in 2016, ahead of Richard Sherman, Patrick Peterson and Marcus Peters. I repeat: Bouye is 25. He gambled on himself last year. The Texans offered him a multiyear deal at a significant raise, but he chose to sign the one-year tender and hit the free market in 2017. Midway through last season last year, people in football started to notice Bouye (pronounced “boy-YAY”). He was outstanding in tormenting the Broncos on an October Monday night in the game that was probably his coming-out party; he had 11 tackles, two passes defensed and he throttled Denver receivers. When I watched him last fall, I kept thinking, Where did this guy come from? You can hear more about that on my podcast today, but Bouye’s confidence is borne, in part, of reading, and of ignoring the noise in this media world. As he prepped for the free-agency spin this week, he said he worked out near his home in Atlanta, took care of his daughter, and assiduously avoided all internet update on the free-agency market and his fate. He said he hoped to donate money to the AAU basketball team his dad coaches (which he used to play on) and to his Tucker (Ga.) High sports teams. A 25-year-old cornerback, feisty, coming off a great year, with his head on straight. He’s going to get paid. Now that’s the kind of player who should get paid. 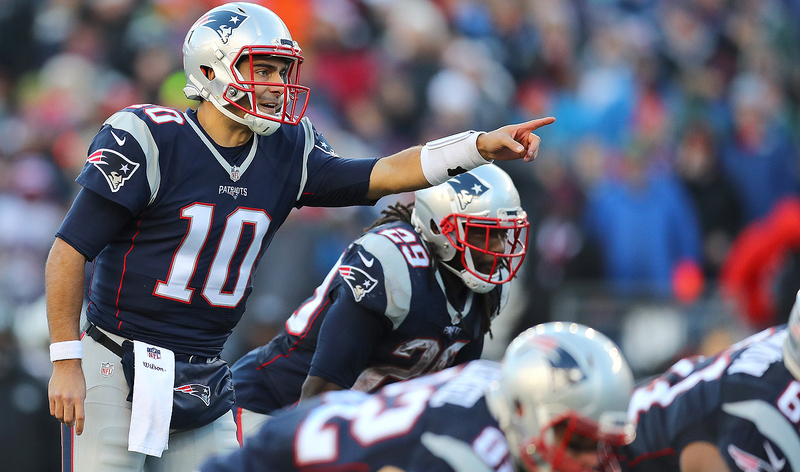 It’s unlikely Jimmy Garoppolo will have the opportunity to lead an offense in 2017. HOW ABOUT THIS GAROPPOLO TRADE? What are your thoughts about a trade where the Patriots send Jimmy Garoppolo and the 32nd pick to Cleveland, in return for the first pick in the draft (which they can use to pick Myles Garrett). It would provide Patriots with a dominant pass rusher for several years at a cap-friendly cost, providing room to shore up existing key free agents and maybe afford one or two new FA signings. The trade would take care of the Browns' QB question, and still allow them to keep the same number of total picks to fill the many holes on the roster. All the way from Hong Kong! Wow! Thanks for reading, Stefan. I don’t think there’s a trade—unless it’s something stupid, like two very high first-round picks—that the Patriots would consider for Garoppolo. 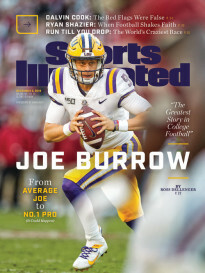 Your trade is a good idea under normal circumstances, but as I have said a few times since the Super Bowl, I believe Bill Belichick would rather have a very good backup to a 40-year-old quarterback in 2017 than whatever the draft choice would bring in return for leaving him without Garoppolo. I read the portion of Albert Breer's MMQB column (nice job!) on quarterback salaries with great interest. As a lifelong Pats fan, I'm well-acquainted with the fact that one of the reasons for the team's success is Tom Brady leaving money on the table to spread around to the other positions, thus helping the team build a solid roster from one to 53. Winning's more important to him than being the highest-paid player in the league. Also, the fans/local sports media were able to use this fact to pound on the Pats' front office when they were not getting Tom quality help in the mid-2000s. So, why aren't GMs and owners using that as leverage with QB salaries? Or copying that business model of spreading the wealth to build a more solid team? Simple, Kristin: Brady began saying this to the Patriots after they won their second Super Bowl. Why would, for example, Kirk Cousins say that to Washington when it doesn’t have the market cornered on winning—and when he’s not sure the front office is all-in with him as the long-term quarterback? I was curious what you thought about the coaching staffs put together by the new head-coach hires this offseason and perhaps for further discussion, what goes into putting together a good coaching staff? I've always thought the "downside" of hiring a young, dynamic coach is he may not have enough experience working with different people and developing relationships to get other assistants to follow him. Also, how much impact does a coaching staff have in luring free agents? Here’s the problem with building a coaching staff, Dan … and I can give you a quick example. Bill Cowher, for instance, was never convinced he wanted to get back into football as a head coach, but one of the reasons why he never did (and it’s not an overriding reason, but it’s a reason) is that all the coaches on his former Pittsburgh staff had either scattered to the wind or were committed to other staffs when he even gave vague thought to returning. In general, a new head coach has to get a little lucky sometimes. Such as when Wade Phillips was just sitting out there when 30-year-old Sean McVay got the Rams job with a very good defense in place but no one to coach that defense. It’s a moving target of a dynamic. I'm really growing tired of hearing how Mixon has ‘changed’ and how he’s learned from his situation. The truth is, men who beat woman usually don't do it just once. That video is so troubling that I have a hard time reconciling how an NFL team is going to draft him. Moreover, for NFL execs to complain about not having access to him at the combine because of the NFL’s policy just baffles and angers me. Do you think the family and friends of the girl he beat have forgotten what he did? Sometimes saying sorry just isn't enough. I hope the team that drafts him endures a deluge of negative public outcry for drafting him. The question is: Should Joe Mixon not be allowed, after being punished at Oklahoma, to ply his trade? Ever? We are a country of second chances. I think he deserves one. One. Why do you keep referring to the Deep South as though it were stuck in the late 1800s? I presume you've been there. Those folks are no more cut off from all modern technology and information than anywhere else. Also, what professional athlete didn't live a “privileged life?” Even those from the Deep South? The vast majority did and do not make ignorant, sexist comments. This is the same stance you took with Johnny Manziel. You keep giving them a pass. I understand. My point is pretty simple: I think Jameis Winston should be given a chance to grow up, and not be condemned at 23 on a volunteer appearance at an elementary school for some chauvinistic (not criminal, not profane, not perverse) comments. 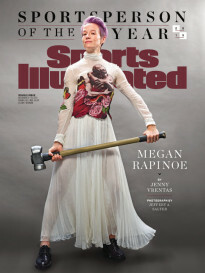 He should be criticized, and called on the carpet, which is what I said. But thrown in the garbage for it? Not my thing. Mr. King, I have enjoyed your column for several years, but have never written until today. You asked what great coach has been successful without great players? Joe Gibbs. Five NFC title games and three Super Bowl wins with different quarterbacks, none in the Hall of Fame. And as evident by your lack of enthusiasm for Art Monk and now Joe Jacoby, you clearly agree that the rosters were not filled with great players. Point of clarification: I voted for Monk when he made the Hall. But you make a good point, one I should have considered. I was considering the likely top four or five coaches of all time (Gibbs is not in that group, but he is in the top 10 to 15), none of which had a starless team the way Gibbs did. Thanks for calling me on it.